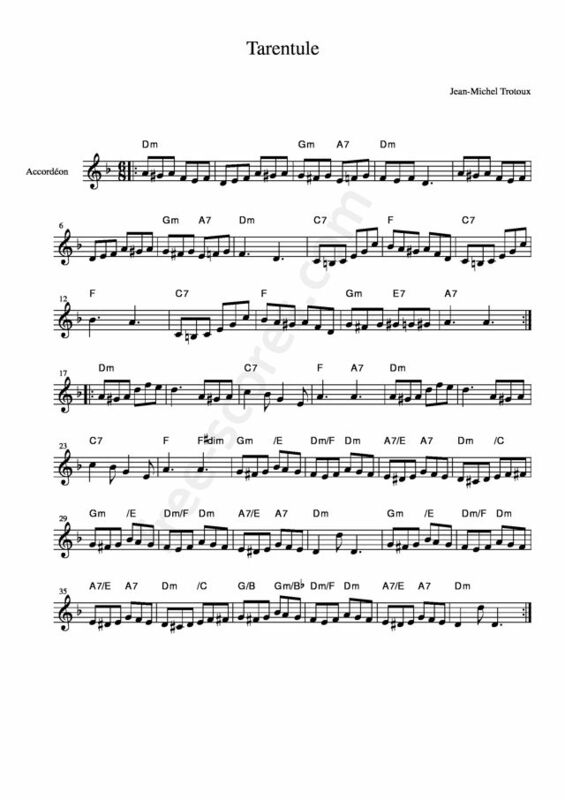 This piece I am playing, TARENTULE, by JEAN-MICHEL TROUTOUX....has great energy and is fun music....be sure to browse the many selection in this site...and to hear more of my MP3s visitmy website at lenandersonmusic.com. Un rythme très traditionnel, c'est vrai. Une version play-along peut-être serait nécéssaire. Mais ça ne regarde que moi.